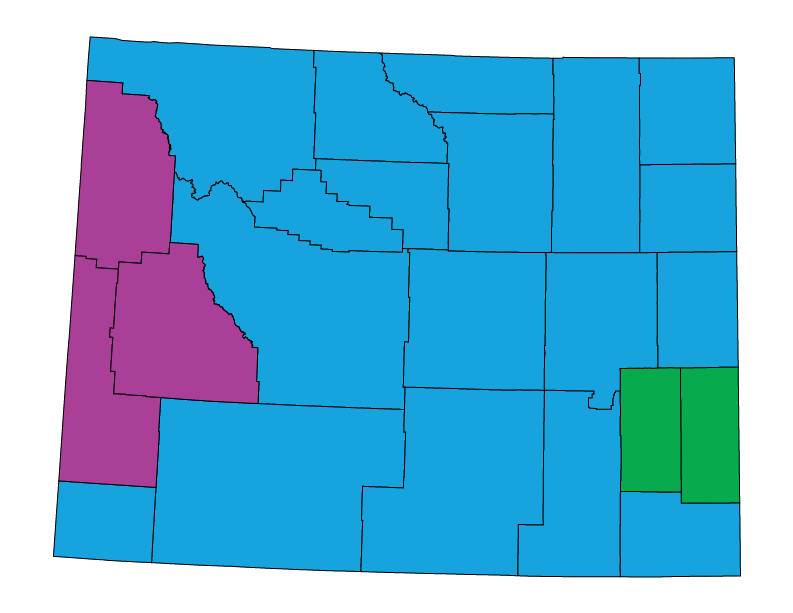 Wyoming does not have a mandatory statewide energy code. For a list of jurisdictional energy code adoptions, please click here. Both residential and commercial building codes are voluntary. As a state, Wyoming’s codes are based on the 1989 Model Energy Code (MEC); however, some jurisdictions have chosen more stringent codes than what is suggested. However, the eight most populous jurisdictions in the state have advanced building codes in place, including the 2009 IECC and the 2012 IECC. Please visit SWEEP’s Wyoming Building Energy Codes page to learn more. Cheyenne has adopted the 2009 IECC. The current energy provisions are contained in Appendix Chapter 53 of the 1991 Uniform Building Code, which references the 1989 Council of American Building Officials (CABO) Model Energy Code (MEC). This code may be adopted and enforced by local jurisdictions. Legislative and Regulatory: Proposed changes to the state energy code may be submitted to the Wyoming Department of Fire Prevention and Electrical Safety, which reviews changes and submits recommendations to the Governor-appointed Building Codes Council. Since 1977, the state has adopted the current version of the Uniform Building Code consistent with its three-year publication cycle. Prior to 1977, the State Fire Marshal’s Office adopted and enforced the National Fire Prevention Agency standards. New codes with the exception of the energy code were adopted in late 2015, so the next review cycle should conclude sometime in 2018. The 1976 edition of the Uniform Codes is adopted.